Don't forget that the base 911 Carrera is a great performer. 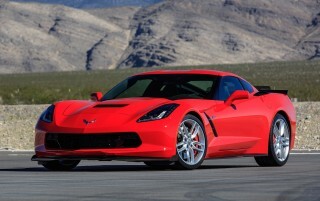 You don't need to reach up into six-digit pricing territory to get a great-driving, distinct sports car. From the satisfying Carrera to the outrageous GT3 RS, the 2016 Porsche 911 is consistently brilliant, and lives up to the this model line's pedigree in every respect—with some modern comforts spliced right in. The 2016 Porsche 911 is one of just a few sports cars that, for decades, has managed to simultaneously preserve its own unique style and lineage and yet provide performance that's remained near the head of the pack. The iconic shape is still as recognizable as ever, and this sports-car lineup has stayed true with the past in offering a wide range of models, from the base Carrera on up to the Turbo S and GT3. Each has its own visual and driving character, and across the lineup there isn't a single variant that disappoints. All in all, the Porsche 911 remains one of the best sports cars on the market. While 2017 is bringing an extensively refreshed lineup of Porsche 911 models, and the 2016 Porsche 911 lineup is mostly carry-over, there's one noteworthy exception this year. The 2016 Porsche 911 GT3 RS is just short of a full-fledged race car—and essentially the homologation special that's the basis for the actual GT3 RS competition car. 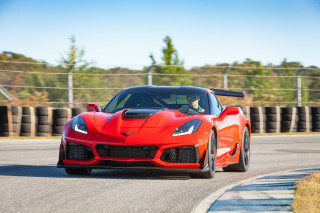 In it, a 4.0-liter flat-6 makes 500 horsepower and 338 pound-feet of torque—without turbochargers—and can get this peaky performance model to 60 mph in just 3.1 seconds, and to 124 mph in 10.9 seconds and eventually a top speed of more than 200 mph. 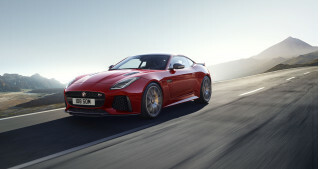 It has even more weight-saving measures than the GT3, plus a revised 7-speed PDK dual-clutch transmission and lighter weight. Last year, Porsche brought the Targa back into the lineup and gave it an upgrade to automatic opening and closing. Instead of requiring the driver to install and store the cloth roof section manually, the 2015 Targa's back half splits open in an elaborate orchestration of moving pieces to do the job. It's quite something to watch, and easily the most complex roof system available today. All Targa models are equipped with all-wheel drive, adding to their all-weather versatility. The base Carrera uses a 350-hp flat-6 engine, while the S models get a 400-hp version and GTS models upgrade to a 430-hp flat-6. From there, it's the 475-horsepower GT3, and then a pair of turbocharged models, the 520-hp 911 Turbo and 560-hp Turbo S. Both employ standard all-wheel drive and include almost all of the equipment that's optional on lesser 911s. All models except the GT3 and Turbo range offer a choice of a 7-speed manual transmission or a 7-speed PDK paddle-shift dual-clutch automatic. The GT3, Turbo, and Turbo S are only available with a PDK gearbox. Handling is fantastic, although steering itself isn't quite as on point. Neither of the two major safety authorities have crash tested the 2016 Porsche 911 or any of the current-generation 911s. Despite the lack of data, Porsche's reputation for sound engineering, advanced safety devices and electronics, and the 911's innate dynamic responsiveness should help avoid crashes or minimize injury. The 2016 Porsche 911 lineup offers an extremely impressive set of features; it's well-equipped even in its most basic form, yet there's no limit on features just because this is a sports car. If you're willing to pay the price you can add many of the comfort, technology, and appearance-related add-ons that are offered in luxury sedans and SUVs. The new GT3 RS picks up the carbon fiber seats of the 918 Spyder and gets Porsche’s Club Sport Package as standard—with a roll cage, a six-point safety harness for the driver, a fire extinguisher, and preparation for a battery master switch. The base Carrera with PDK is the most efficient 911 offering, at 20 mpg city, 28 highway, 23 combined—very respectable figures for any 350-horsepower daily driver. The Turbo and Turbo S return identical EPA scores of 17/24/20 mpg. The countless variants of the 911 typically fall within those ranges, however the GT3 and GT3 RS are typical track-day specials and are much thirstier. There's a lot of the charm of the vintage 911 models here, mixed in with what's new and modern. The Porsche 911 hasn't changed all that much, over many decades; and yet somehow it manages to look fresh with each iteration. The low, sloped nose, the rising front fenders capped by round-ish headlights, and the fastback coupe profile altogether say "911," despite the changes. The convertibles mimic the same shape, while the Targa model's brushed-metal basket handle hark back to the Targas of the '70s. 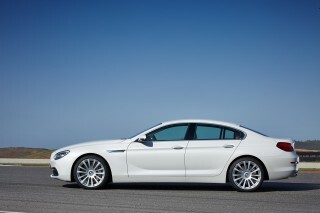 A wider front track balances out the front-rear proportions, and the longer wheelbase helps stretch the car's lines into more elegant arches and curves. All-wheel-drive models feature wider hips to accommodate wider tracks, while also accentuating the car's Coke-bottle shape. On the outside, the new addition to the lineup this year, the 2016 Porsche 911 GT3 RS is easily recognizable by its huge rear wing, ducktail spoiler, ridge lines running the length of the car, and new vents in the front fenders. The current generation of the Porsche 911 made some departures from design tradition inside, and it's mostly for the better. Overall we'd say the interior, including all its details, adds up to fit very well with the 911's sporting flavor and daily-driver comforts. For the first time there's a large center console—visually derived from that used in the Panamera sedan. Porsche avoids complicated controls in favor of buttons and individual switches for the car's controls. There's no buried menu system or touchscreen interfaces to fiddle with here. Even in plush-cruiser PDK Cabriolet form, the 911 is a talented performer for road or track—and the new GT3 and GT3 RS models push its performance to outrageous extremes. The 2016 Porsche 911 lineup offers a stability and balance that any sports car would envy, even at the Turbo S end of the spectrum. Accurate steering, a nimble suspension, brisk acceleration (startlingly so in the Turbo and Turbo S), and fantastic brakes, the 911 is almost the perfect package. Carbon-ceramic brakes are available, further reducing brake fade and improving pedal feel in track situations. And just before a refreshed lineup arrives next year, an even edgier model arrives—the 911 GT3 RS, which is essentially a road-going race car. The 2016 911 offers many choices for performance; it has nearly as many engines in its lineup as there are actual body-style variants. 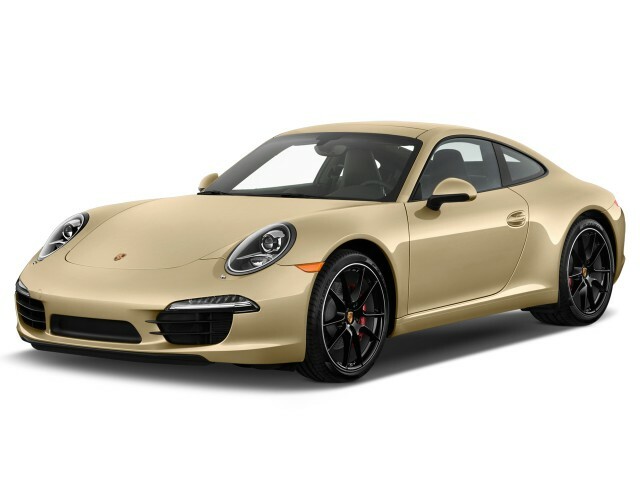 The base engine in Carrera, Carrera 4, and Targa 4 is a 3.4-liter direct-injected flat-6 that makes 350 horsepower and has eager, free-revving power characteristics. 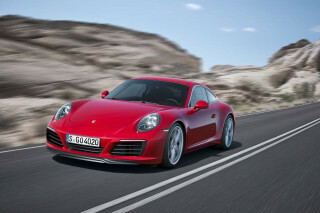 The Carrera S, 4S and Targa 4S get a 3.8-liter flat-6 good for 400 hp. Both engines can be paired with either the 7-speed manual or the 7-speed dual-clutch PDK automatic. Add the Sport Chrono package—essentially the performance package of the lineup—and you'll get launch control, which knocks 0.2 seconds off each car's 0-60 mph run, plus some electronic aids that allow lap timing and other "record-keeping." Top speeds clock in at 179 mph and 188 mph respectively for base and S models, while Carrera 4 and 4S models top out at 177 and 185 mph. The Targa 4 can hit 175 mph, while the Targa 4S reaches 183 mph. Move up to the rear-wheel-drive GT3 hits 60 mph in just 3.3 seconds thanks to its 475-hp, normally aspirated 3.8-liter flat-6 and 3,152-pound curb weight. 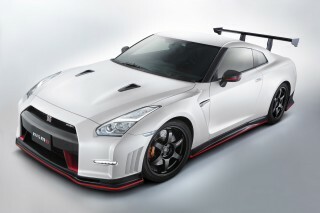 Top speed is 195 mph, and the GT3 will lap the Nordschelife in less than 7 minutes 30 seconds. New for 2016 is the GT3 RS as the homologation basis for the race car of the same name, the GT3 RS. 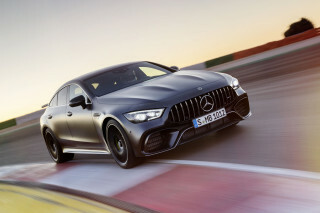 In it, a 4.0-liter flat-6 makes 500 hp and 338 lb-ft of torque—without turbochargers—and can get this peaky performance model to 60 mph in just 3.1 seconds, and to 124 mph in 10.9 seconds and eventually a top speed of more than 200 mph. The quarter mile time is a brief 11.2 seconds. To cut weight (it's down to 3,130 pounds, about 22 pounds lighter than the already lithe GT3), engineers are using more aluminum in the GT3 RS body and have added a magnesium roof plus carbon fiber reinforcements for the trunk lid and engine cover. 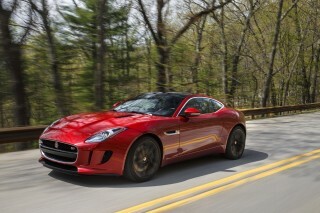 Helping aid that acceleration is a revised 7-speed PDK dual-clutch transmission and lighter weight. The transmission is said to feature "paddle neutral" declutching and a speed limiter used when entering the pits. The 911 Turbo and Turbo S have more power, but they get back to the 911's natural trajectory of refinement and evolution; you'll find supercar performance, yet a very approachable, easy-to-drive package. The 911 Turbo boosts output to 520 hp with a pair of turbochargers added to the 3.8-liter engine, rocketing to 60 mph in just 3.2 seconds with the aid of launch control and standard all-wheel drive. The Turbo S takes it a step further, with 560 hp and 2.9-second 0-60-mph runs. Top speed for the Turbo is 196 mph; the Turbo S can reach 198 mph. The current 911 lineup is fantastically agile and coordinated, and it has surprisingly neutral handling; the 911 has evolved away from the older models' tendency to oversteer, thanks both to electronic management and some clever suspension tuning. If there's a weak spot, it's the electric power steering system, which, while accurate and nicely weighted, doesn't match the feel offered by older 911s, which were equipped with hydraulic power steering. The available Porsche Active Suspension Management system offers dynamic suspension response to the road and driving conditions through a series of settings from Comfort to Sport Plus. Porsche's advanced Dynamic Chassis Control is also available. The system adjusts the car's roll stiffness through the use of anti-roll bars. The Porsche 911 is a surprisingly practical, comfortable, and quiet touring coupe. The 2016 Porsche 911 definitely straddles the boundaries between an edgy sports car and an everyday-driving touring coupe. With generous space for two, enough space for weekend bags, and luxurious appointments inside, the 911 is far more livable than other high-price sports cars. Technically the 911 is a four-seater; although rear-seat leg room is minimal to non-existent. You might find enough space for a quick trip across town, depending on the height of front-seat occupants. Gauges are simple and clear, with a circular color screen located in the rightmost pod that can show a variety of information, including navigation directions. Adding to the elegant feel, aluminum accents highlight key design elements, while most of the controls and functions are delegated to high-quality plastic buttons and switches. Porsche's customization menu extends to almost every surface in the 911 interior, offering embroidery, extended leather, and a variety of colors, textures, and finishes. Throughout the 911 lineup, perhaps what separates it from other cars in this performance realm is that its ride is settled and refined, and its cabin is quiet enough for long highway trips. Jittery rides and the din of road noise are mostly absent from the entire lineup—although in some of its versions, you definitely hear the engine. There aren't any crash-test scores for the 2016 Porsche 911—although you'll find a plethora of safety tech. The 2016 Porsche 911 goes without formal crash-test ratings—mostly because of its high price and relatively low sales volume. Yet its superb handling and braking capability should drivers avoid road obstacles or other cars, and with or without optional ceramic composite brakes. The latest 911 packs a complement of standard and available electronic safety features to help assuage worried shoppers. Porsche Side Impact Protection includes thorax airbags, an upward-inflating airbag in the door panel, and reinforcements in the doors to help minimize injury in a side-impact situation. The 911 family also offers Porsche's stability and traction control systems. They can vary their level of assistance depending on the driving mode chosen, although all levels function to help keep the car pointed along the path the driver intends. The high-speed stopping ability of this lineup is also excellent. Many more individual options are also available, though if you get too wild with the add-ons, you can drive the Carrera S especially quite easily into six-digit territory. 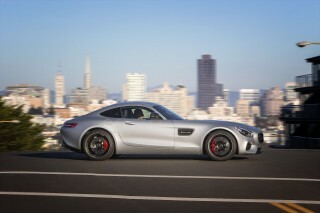 And the upper models in the lineup, like the Turbo, GT3, and GT3 RS are already there. Standard equipment on all 911 models includes Porsche Communication Management, which combines audio, navigation, and phone-integration functions; a 7.0-inch touchscreen; DVD/CD/MP3 audio; keyless entry; USB connectivity; an iPod interface; Bluetooth; and automatic two-zone climate control. A sliding/tilting sunroof is available, as is the ParkAssist system with front and rear parking sensors plus an overhead display of nearby obstacles. With the available Burmester sound system—which we'd pick if money is no object—you'll get 12 channels pumping a total of 821 watts, including a 300-watt subwoofer, plus Air Motion Transformer tweeters and some of the best sound we've heard in a car. A Bose system is also available for about a third of the price. There are performance options aplenty, as well as a new 20-inch wheel option for Carrera and Targa models, as well as a new Sport Chrono package for the GT3 that includes the Porsche Track Position App. Considering what it can do, the 2016 Porsche 911 family is quite easy on fuel. Considering the awe-inspiring performance potential you can get from the 2016 Porsche 911—even in its base Carrera form—fuel efficiency is quite good. If you shop by the EPA fuel economy ratings, the 911 is one of the more environmentally friendly sports cars you can buy. The newest addition to the lineup, the 2016 Porsche 911 GT3 RS, is the edgiest and most outrageous for performance. It's a street-going racecar in many ways. And so it's not that much of a surprise that its fuel economy factors in at just 14 mpg city, 20 highway, 16 combined. That's only slightly worse than the GT3's 15/20/17 mpg. But it gets so much better from there. The base Carrera with PDK is the most efficient 911 offering, at 20/28/23 mpg—very respectable figures for any 350-horsepower daily driver. Adding 50 horsepower and all-wheel drive, as in the Carrera 4S, with the 7-speed manual transmission, reduces the score slightly to 19/26/22 mpg. The other Carrera coupe and convertible variants, as well as Targa models and those equipped with the 7-speed manual transmission, fall somewhere within those bookends. The Turbo and Turbo S return identical EPA scores of 17/24/20 mpg. Excellent daily driver. As it all wheel drive, I use it all year round. Quite comfortable on long trips and more cargo room then would expect. I'm 6'2" and there is more than enough room for the driver and... Excellent daily driver. As it all wheel drive, I use it all year round. Quite comfortable on long trips and more cargo room then would expect.